Because Avocados make everything better! Delicious, healthy Avocado Chicken Salad that’s quick and easy to make! Fast Track vs Slow Whaaaa? The Reintroduction is our opportunity to make the most of our efforts for the past 30 days and actually learn something about how the foods we've eliminated while Whole30-ing effect our body. It's our chance to design the perfect way of eating that makes us feel our best...that we can take with us for a lifetime. That knowledge is golden and is unique to us. Hence....Food Freedom. The Reintroduction is the heart of the Whole30, so don't skip it. There's no right or wrong answer here. Whether you "Fast Track" or "Slow Roll", just remember to learn something, so pay attention and introduce foods back in one at a time. If you're going to follow the Fast Track schedule and want to work alcohol back in, it's recommended that you start with that on Day 1, before the legumes, and make it a gluten-free alcohol like wine (or bubbly...you know me. LOL). If you do this your schedule will last 13 days instead of 10. But what if something gluten-filled appears first—before legumes? We’ve created the reintroduction schedule in this specific order, going from food group least likely to mess you up (legumes) to most (gluten-grains). However, the order is really most important if you’re going to reintroduce all food groups in just ten days. If you decide to stretch it out longer, feel free to reintroduce out of order—but know that if dairy or gluten comes early in the process, you may need extra-extra days to recover. I also recommend you take your healthy lifestyle a step further and read the book Food Freedom Forever which can help you kick that yo yo dieting to the curb...forever. I'd love to hear your plan! 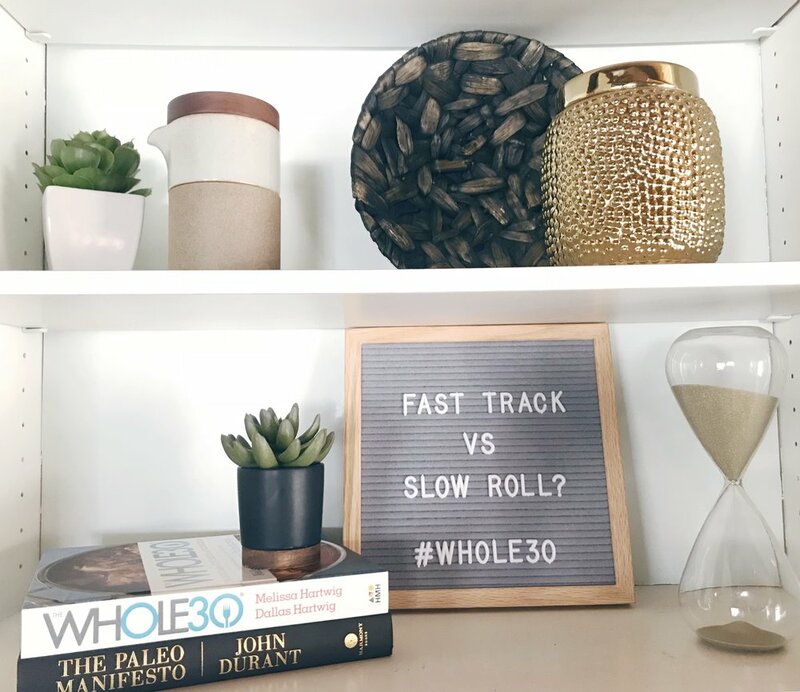 Fast Track or Slow Roll? Which one speaks to you? Ready to get more veggies in on game day? Try these delicious bites that will be perfect for your next football party! Preheat oven to 425 degrees and spray a baking sheet. Mix the batter by whisking the coconut milk, water, coconut flour, and garlic powder. Dip the florets into the batter and let the excess drip off. Arrange on the baking sheet, not crowding the pieces. Meanwhile melt the ghee in a saucepan. Add the hot sauce and whisk together. 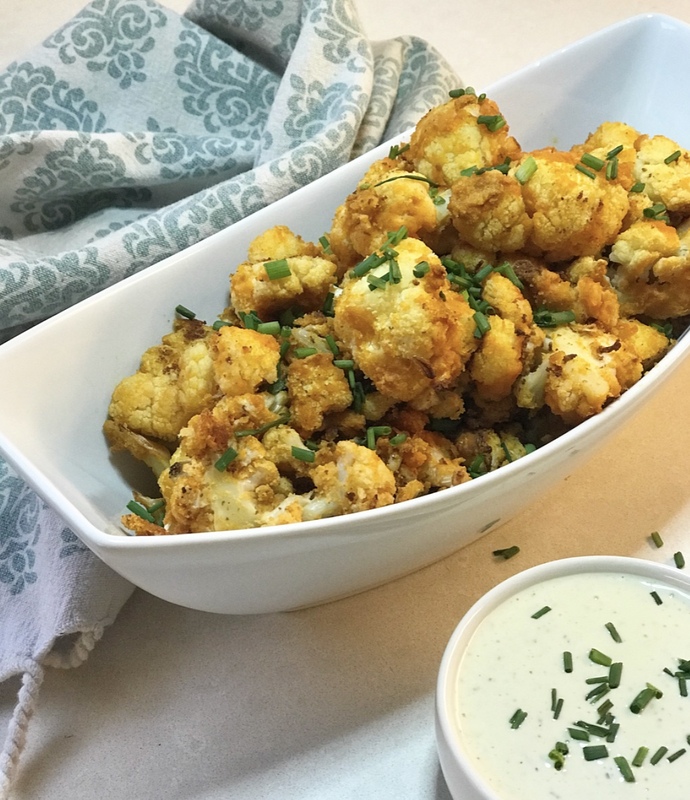 When the cauliflower is done, put in large bowl and toss with the sauce mixture until coated. Spray the baking sheet again and spread them on the baking sheet once again, and continue baking for 15-20 mins or until cooked through. If you need to, turn it up to broil and watch closely just to finish them off so they are nice and golden. Serve immediately while they're warm with chives as garnish. 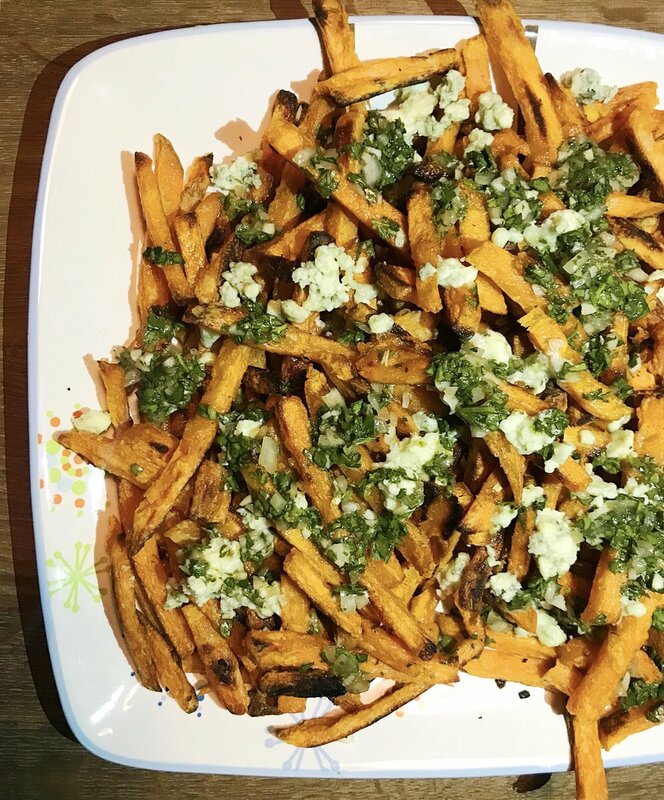 Serve with sliced carrots, celery with Non-Dairy Ranch Dressing for dipping! Happy, healthy Superbowl everyone! Everyone loves a peanut butter cup. Most people love the salty + sweet mix. Usually these kinds of treats are an unhealthy, sugary indulgence...what if you could get all the flavor without the guilt? Funny how this recipe idea came about. I've been noticing lately that every evening my husband pulls out the almond butter, raw honey, a spoon, and dips a couple of spoonfuls in sea salt and his sweet tooth is satisfied. I decided to surprise him and create an easy, 3 ingredient treat that was a little more visually appealing. He was THRILLED. Almond Butter (heated slightly so it will drizzle) - I used Almond Butter w/ Honey but you can use any healthy almond butter you choose. You can heat starting with it at room temp, and stirring over a double boiler, placing the jar in hot water, or microwaving for a few seconds, stirring as you go until it's a good consistency and will pour. Flake Sea Salt - this is the one I use and I can see why it's a favorite among chefs. I recently had a friend send me this cute little slide tin to try and I'm obsessed with how cute it is, best flake sea salt I've tried. I'm going to keep it for refills for travel! Take about 1 tsp of chilled Chocolate Hazelnut Butter and place it in the bottom of the silicone cups. The mold holds 30 cups, but you can make as many as you want. With clean fingers and working quickly before it gets sticky, press your index finger into the center to make a hole and press it firmly against the walls of the mold evenly. See pic below. Fill the softened almond butter into the easy pour funnel and drizzle into the cups until full. and level with the tray. Crush the flakes of sea salt between your fingers and sprinkle on top of each cup. Place on a cooling rack to keep the mold flat and steady and place flat in the freezer for 30-45 mins to set. Check one to see if it pops out in one piece by pressing the cup from underneath to essentially turn it inside out. If it does not pop out and it still sticking, stick it back in the freezer until they pop out easily. At room temperature, these will get sticky so store them in an airtight container in the refrigerator or freezer depending on the consistency you prefer. I separated layers with parchment paper. Pop a guilt-free Sweet + Salty Almond Butter Cup in your mouth when you're about to fall face first into a pint of Ben & Jerry's! LOL. Note: I tried doing the reverse with the Chocolate Hazelnut Butter inside, but these did not pop out cleanly, so I recommend the method above in directions. Let me know if you try this "healthier" version of Reese's Peanut Butter Cups with a sweet + salty twist! I hope you love 'em too...just don't eat them all in one sitting. Hint hint. What's cool is that these protein packed bites will keep you full with healthy fats much longer than the sugar-filled originals! P.S. Looking for other ways to use this amazing Flake Sea Salt? Try it on my Roasted Shishito Peppers recipe!